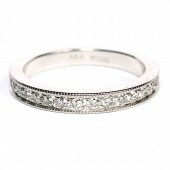 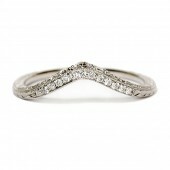 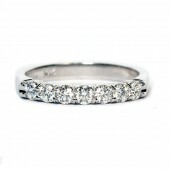 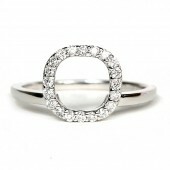 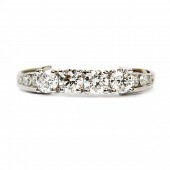 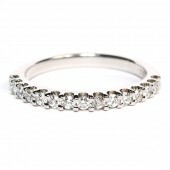 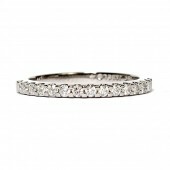 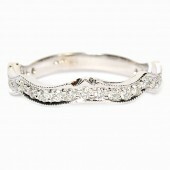 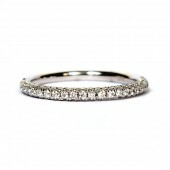 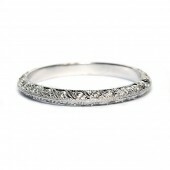 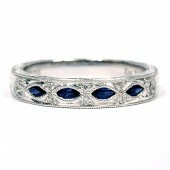 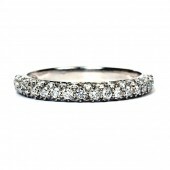 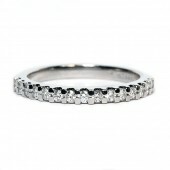 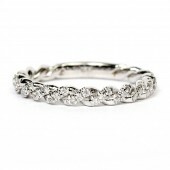 One all platinum and diamond ladies wedding ring. 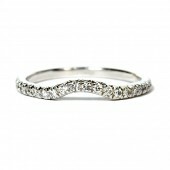 This ring contains one brilliant baguette diamond in the center and two tapered brilliant diamonds (one on each side), all bar-set. 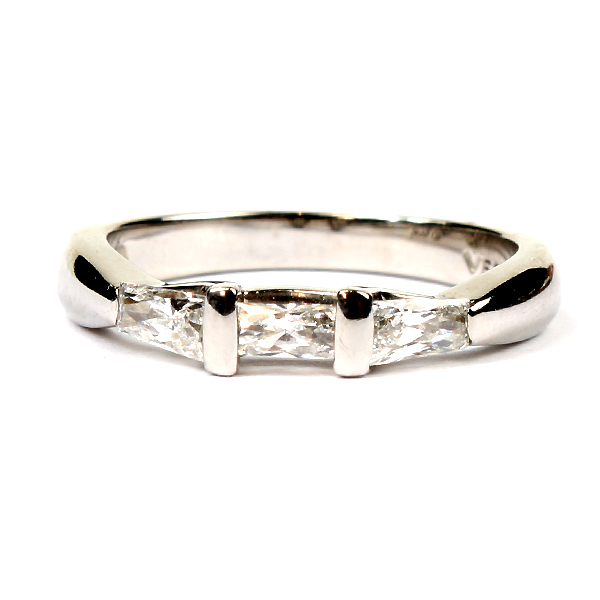 These diamonds are very will matched and proportioned, near colorless (G), only very slightly imperfect in clarity (VS), and weight 0.50 carats total weight. 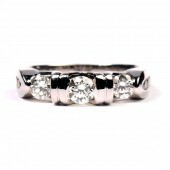 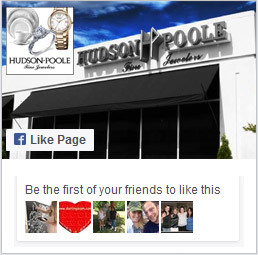 This ring is designed to match Verragio engagement ring style number 116-11471.